so much stronger than we ever imagined. than we could ever have dreamed. National Shrine of Our Lady of the Snows in Belleville, Illinois. at the National Shrine of Our Lady of the Snows. Prayer to St. 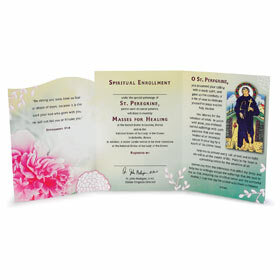 Peregrine and a brief history of the Missionary Oblates of Mary Immaculate are all included in card. The Cancer Enrollment Card you are requesting is not signed or personalized.